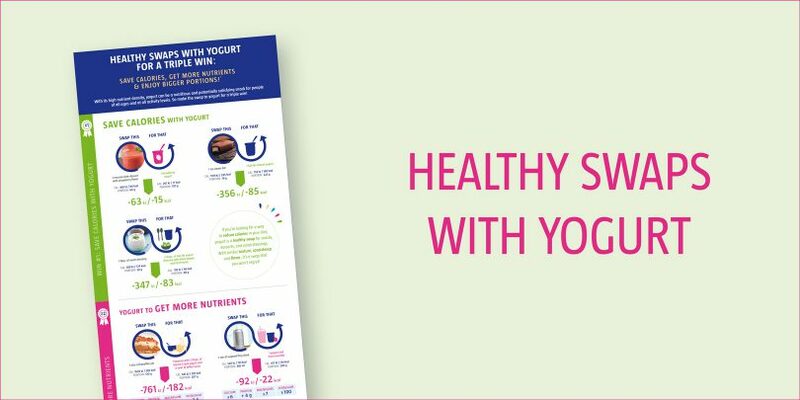 This infographic reports on yogurt as a nutrient-dense snack. Discover here how to save calories by making a healthy food swap to yogurt. What is a healthy snack ?